Pefkochori. 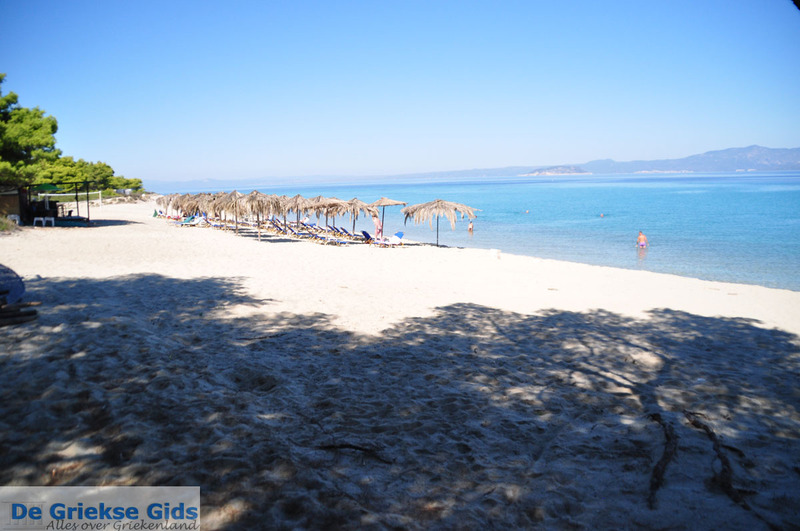 Pefkochori is a coastal town on the eastern side of the Kassandra peninsula in the prefecture of Halkidiki. 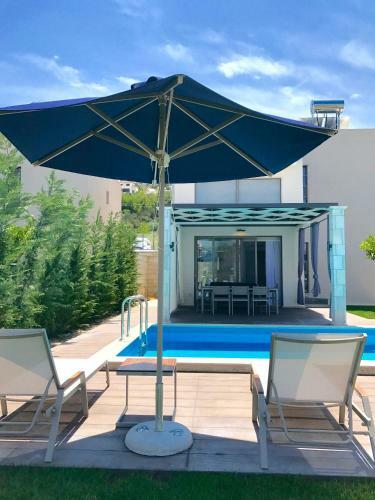 Pefkochori is located 105 km (65 mi) from Thessaloniki and 52 kilometers (32 mi) from the capital of Halkidiki, Polygyros. 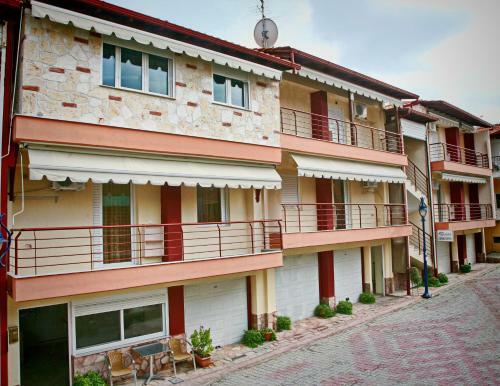 It is a traditional village with many hotels and apartments. Fine houses decorated with flowers and gardens characterize the village of about 1700 inhabitants. 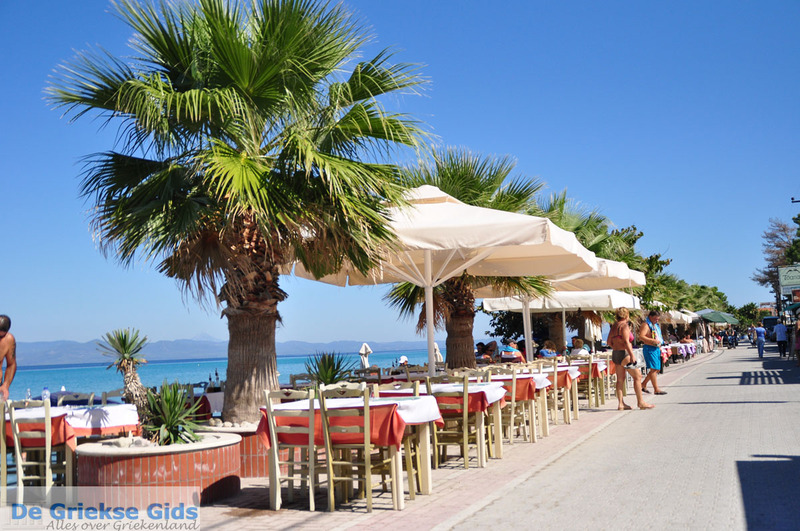 The main boulevard of the village, with its many restaurants, cafes, ouzeris, beach bars and shops, follows the length of the white sand and pebble beach. 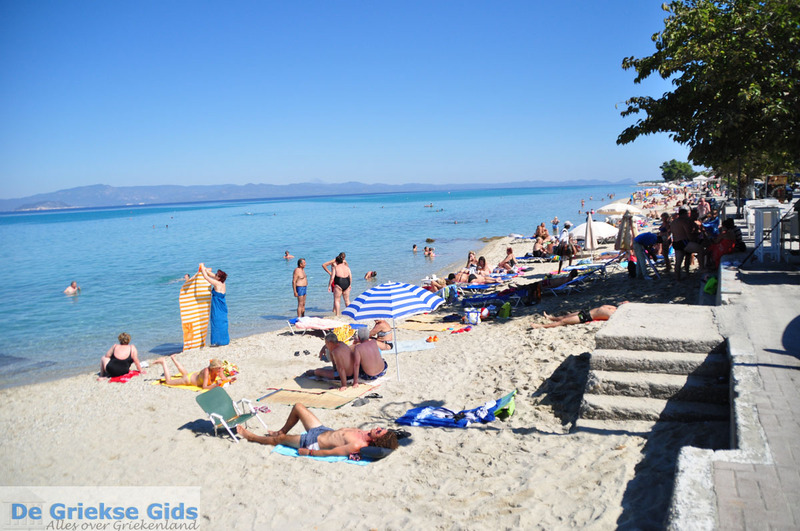 In the summer months, the village is visited by many Greek and foreign tourists. Every day, many tourist boats moor on the pier of the village. 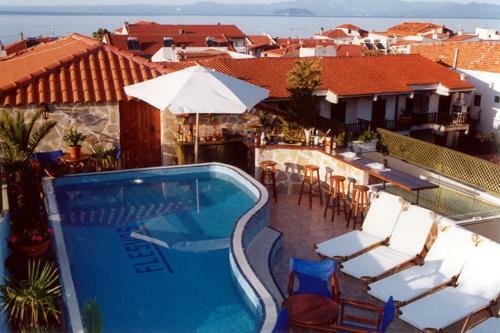 Additionally, every day several excursions to other beautiful coastal towns of Halkidiki are organized. A walk through the old town of Pefkochori is more than worth the time. Its tiny village square has a church, a fountain and, of course, the kafeneion (coffee shop and gathering place) of the village. 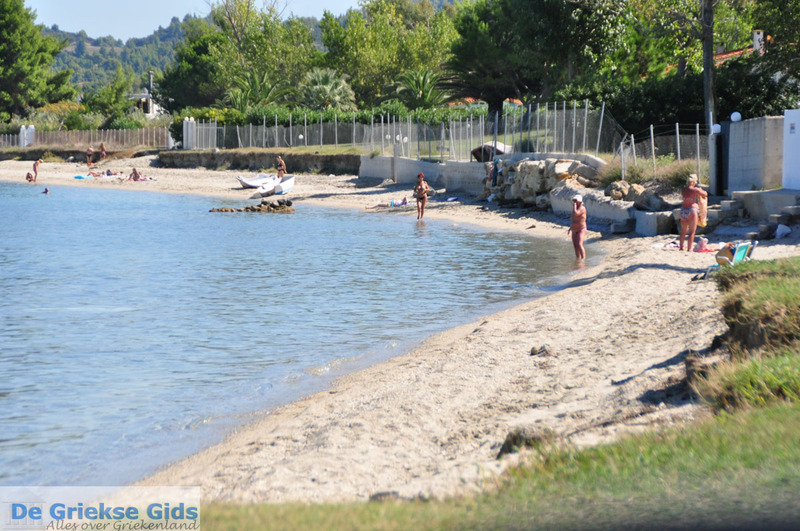 You can swim at the village itself, but also just outside the village in the south, at several nice, quiet beaches. Pine trees reaching to the sea surround these beaches. 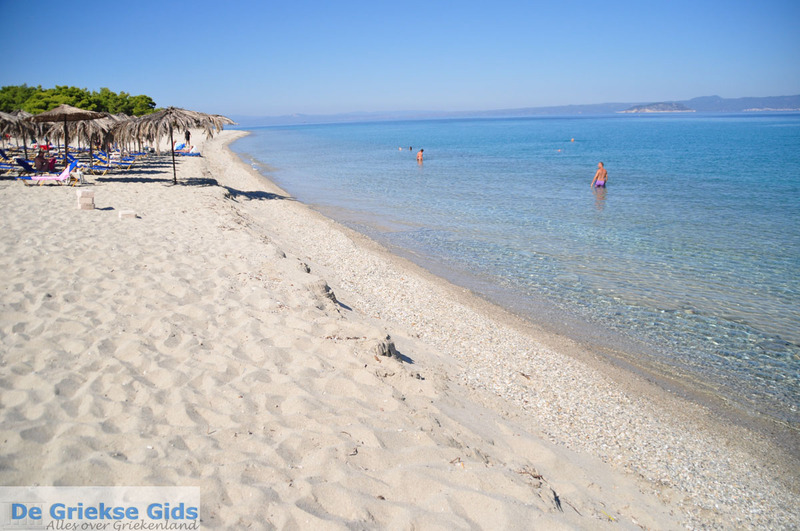 Beautiful beaches near Pefkochori are Kanapitsa, Chrisi Akti (Golden Coast), Alonaki and Chrousso. In Pefkochori there is also an opportunity to enjoy free camping. 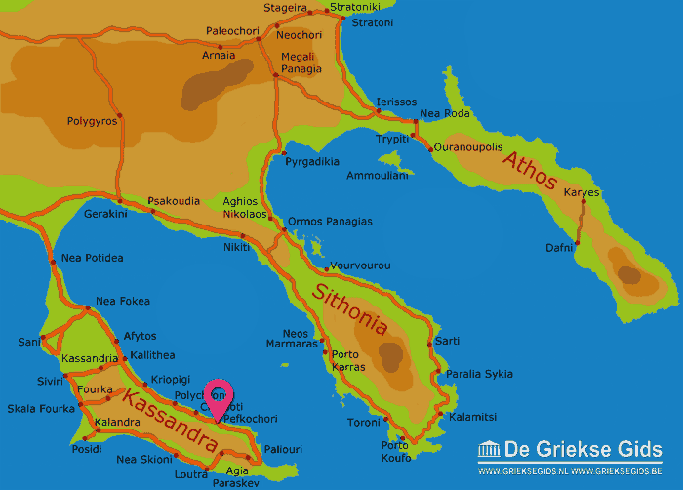 Halkidiki: Where on the map is Pefkochori located?